Ben Affleck's political thriller passed the milestone box office mark over the weekend not counting overseas grosses. Rick McCallum will pursue smaller indies after leaving Lucasfilm post-Disney sale. The Kennedy Center Honors welcomes inductees; Silver Linings Playbook solid among Specialty Releases as newcomers fizzle. 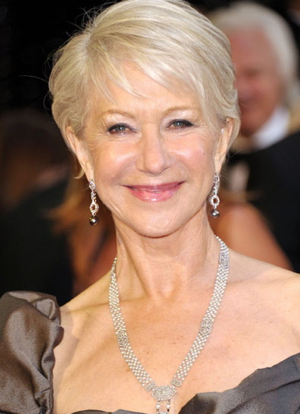 And at the European Film Awards, Helen Mirren expresses uncertainty over reprising Queen role. The Oscar hopeful directed and starring Ben Affleck crossed the $100 million mark, a notable feat for a historical drama. The title took in $2 million over the weekend. Internationally it has grossed $56 million, THR reports. The Star Wars producer said Saturday via Lucasfilm's StarWars.com that he is leaving the company to produce a slate of smaller independent films including a Russian pic about the Babi Yar Massacre that Sergei Loznitsa will direct; a film by Laurence Bowen about the boy soldiers of Sierra Leone; and an action drama with Tomas Masin about two brothers who escaped Czechoslovakia during the Cold War while being pursued by thousands of Soviet soldiers, Variety reports. The John F. Kennedy Center welcomed eight performing artists to its wall of fame Sunday at a festival Kennedy Center Honors event. Actor Dustin Hoffman, TV host David Letterman, blues singer Buddy Guy, ballerina Natalia Makarova and the rock group Led Zeppelin (John Paul Jones, Jimmy Page and Robert Plant) were saluted during the affair's 35th annual installment attended by the President and Mrs. Obama, Variety reports. Oscar contenders Silver Linings Playbook and Rust and Bone held solid in the specialty realm as they expanded. The overall box office had dreadful debuts from TWC’s Killing Me Softly and LD Entertainment’s The Collection. But Weinstein’s David O. Russell-directed Silver Linings held nicely with a per-theater average of just over $9K as the movie added four cinemas in its third weekend, Deadline reports. Helen Mirren has admitted she felt "very unsure" about reprising her Oscar-winning role as The Queen in an upcoming London play. "I don't like going back to things," the 67-year-old said. "I like to go forward." But she was won over, she went on, by the "extraordinary team of artists who are putting the play together". The actress was speaking at the European Film Awards in Malta, where she received an honorary award, BBC reports. Quick, name your favorite Alfred Hitchcock movie and scene. With the Master of Suspense getting a lot of attention this fall, thanks to the HBO movie, The Girl, and the theatrical feature Hitchcock, which opens in limited release on Friday, Movieline decided these would be good questions to ask of the celebrity contingent that showed up for the New York premiere of the latter film on Sunday. Scarlett Johansson is channeling screen legend Janet Leigh in this depiction of the cult movie Psycho's famous (or infamous) shower scene. Johansson is, of course, portraying Leigh's character Marion Crane in the upcoming Oscar contender Hitchcock, which will have its world premiere as the opening night film at AFI Fest November 1st. Only weeks ahead of its world premiere as the opening film at AFI Fest comes a glimpse of Anthony Hopkins and Helen Mirren starrer, Hitchcock. Like the festival's closing night counterpart, Lincoln, the title will no doubt be an awards-season heavy-weight. Also in Thursday's round-up of news briefs, Disney Publishing is planning a book for Tim Burton fans who can't get enough of Frankenweenie. Also this afternoon, a couple of new films that will be heading their way to theaters. Also in Tuesday morning's round-up of news briefs, Philip Seymour Hoffman, Rachel McAdams and more begin work on a new project. The Abu Dhabi Film Festival unveils its lineup. And Beasts of the Southern Wild director begins work on a new "Louisiana-fable" project. Colin Firth won an Oscar playing Britain's King George VI in the 2010 historical drama The King's Speech. And Dame Helen Mirren won her Academy Award playing the current U.K. monarch Queen Elizabeth II back in 2006 for her role in The Queen. Now both are set to wear their crowns again in two separate projects. Author, playwright, politician Gore Vidal died at his home in the Hollywood Hills due to complications stemming from pneumonia, A.P. reports. His nephew said he had been sick for "quite a while" and had been living alone in the home when he passed away Tuesday. Filming is underway on the other period behind-the-scenes Alfred Hitchcock flick -- this one stars Scarlett Johansson as Janet Leigh, Jessica Biel as starlet Vera Miles, Anthony Hopkins as Hitch and Helen Mirren as his wife Alma -- and the very first photo from the pic has hit the web. In it, buried somewhere beneath layers of prosthetics and make-up and balding hair, is Sir Anthony as the iconic auteur. Toby Jones, eat your heart out. Late night host Jimmy Kimmel's tradition of filming a post-Oscar movie-related spoof continued Sunday night with a "trailer" for Movie: The Movie, the ultimate star-studded epic to end all epics. In addition to featuring a host of stars, from Taylor Lautner to Helen Mirren to Tyler Perry (er, "Daniel Day-Lewis as Tyler Perry as George Washington"), the Kimmel-produced gag covered just about every genre and trope known to the movies. I give it a few years before some suit turns this into a reality. Glee has scored another Oscar-winning guest star. Nearly eight months after Gwyneth Paltrow's last episode, the Fox musical series has cast Helen Mirren in a role that was written explicitly for the British actress.